Great Japanese Buddha statue, Daibutsu, all vectored up. The original bronze statue of Amitabha Buddha is thought to have been built in 1252. Lookin’ pretty good for 760+ years old! 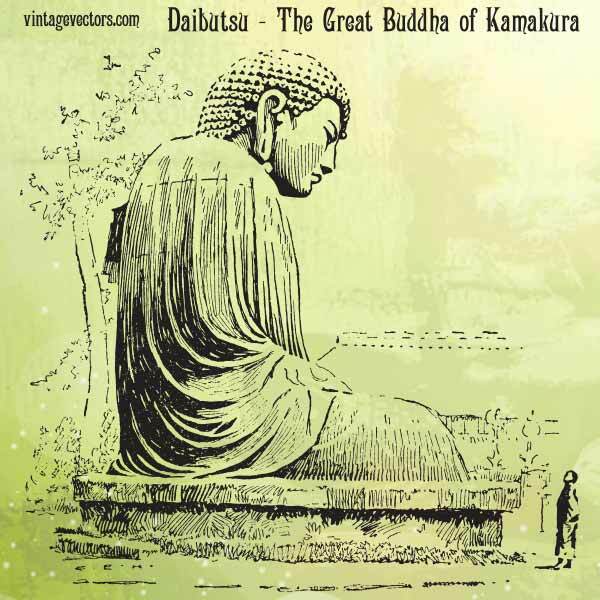 Rudyard Kipling referred to the monument in his “The Five Nations” poetry collection as Buddha at Kamakura. Guys, it’s Kamakura. The picture has it correct. Great designs, by the way. Can’t be happier with your Copyrights rules. Very fair.